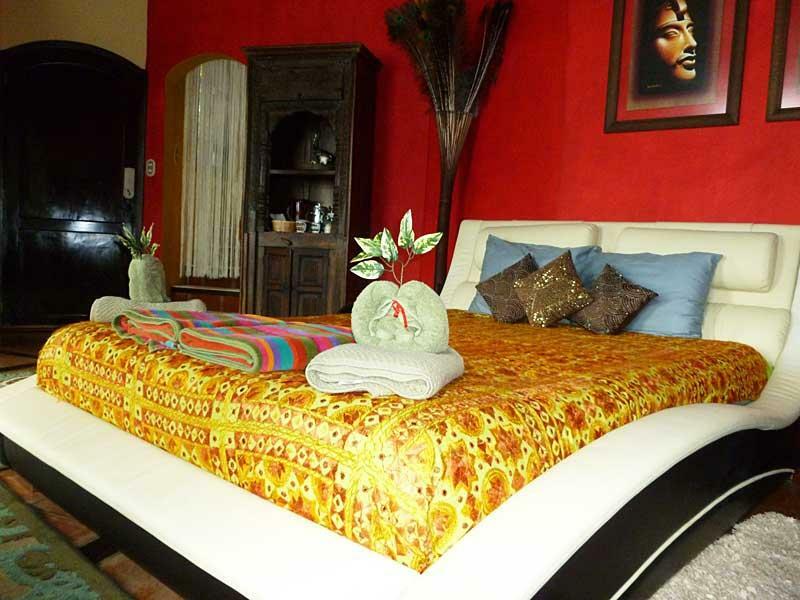 ﻿ Best Price on Kaalpul Atitlan Eco Hotel and Spa in Panajachel + Reviews! Located on the shores of Atitlan Lake in the town of San Antonio Palopo and just 5 minutes away from San Lucas Toliman, only accessible by boat. Kaalpul Atitlan Eco Hotel and Spa is an adults-only private nature reserve and features a private lagoon, sauna, few exercise equipment, terraces and a holistic spa. All accommodations are suites featuring beautiful lake views, iPod docking station, seating area, and in room coffee/tea service. The bathroom is private with organic free toiletries, bathrobe and shower. Guests will enjoy the spa amenities and free unlimited access to the Nature Reserve and hiking trails. Activities like snorkeling, swimming, rowboats and kayaks are also offered. A complimentary use of Authentic Mayan Sauna for guests staying 2 nights. TOSA La Laguna Holistic Spa and Retreat Center is an all-inclusive property offering our signature spa cuisine as 3 vegetarian meals daily plus snacks, prepared by our Chef. Guatemala International Airport is located 3 hours drive away and a shuttle service is available for a fee. Please note, this hotel can only be reached boat, with the last boat leaving the hotel at 15:30 to offer a free pick up service until 16:00 either from San Antonio Palopo or San Lucas Toliman. Minimum age of guests is: 16 year(s). Please note that hotel can only be reached by boat until 18:00. A deposit via PayPal is required to secure your reservation (see Hotel Policies). The property will contact you with instructions after booking. Payment must be made within 72 hours after booking. Please inform Kaalpul Atitlan Eco Hotel and Spa of your expected arrival time in advance. You can use the Special Requests box when booking, or contact the property directly using the contact details in your confirmation.